Experience – Since 2013, Picture Perfect Handyman has been installing shelving and storage systems in residential homes throughout the community. They can install coat racks, storage hooks, towel rails, and pantry shelves in your garage, basement or pantry. Picture Perfect Handyman as installed a lot of flexible configurations of shelving and storage systems to hide items away, or as a decorative feature inside the home. Installing a variety of flexible, space-saving storage systems and shelving units can create additional space inside your home to safeguard your household items. 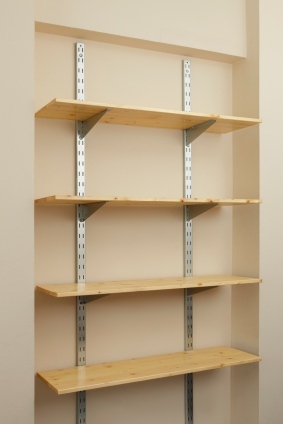 Eliminate the hassle of assembling and installing shelving and storage systems throughout your home. Hiring Picture Perfect Handyman ensures the assembly and installation is performed correctly, and will last for the life of your home. Affordability – For over 6 years, Picture Perfect Handyman has provided competitive, affordable pricing to customers, and ensures a quality job every time. Call Picture Perfect Handyman at (661) 457-5991, for your free online quote, to see just how much you can save today. Guaranteed Satisfaction – As a leading provider of shelving and storage system installation services, Picture Perfect Handyman professionals have the experience, skills, tools and knowledge necessary to design, build or install the ideal functional shelving, or storage system, in your home, basement, office, garage or pantry.